Professor Mohammad Karaan is a member of the South African National Planning Commission and was the former Dean of the Faculty of AgriSciences at the University of Stellenbosch. His areas of specialisation include agribusiness management, supply-chain management, food marketing, informal markets, rural development, small-scale agriculture, urban agriculture, aquaculture, and strategic management. 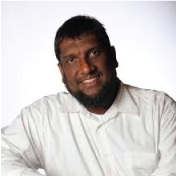 Prof Karaan was previously the Chairperson of the National Agricultural Marketing Council as well as the President of the Agricultural Economics Association of South Africa. He serves on the board of the Landbank, and holds non-executive directorships with several agribusiness firms. He was recently appointed to the President’s advisory panel on land reform. He holds a MSc and PhD in Agricultural Economics from Stellenbosch University. Andrew Jenner holds an Bachelor of Engineering, BEng (Hons), a Diploma in Law and Intellectual Property, and a Master of Laws. He also holds accreditations as a Chartered Manager, a fellow of the Chartered Institute of Management, a fellow of the Royal Society of Arts, and a member of the Institute of Engineering & Technology. 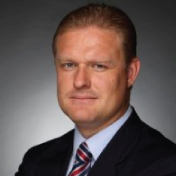 With a background rooted in intellectual property law and with a Masters in Law from the University of Wales, Jenner was the Senior Policy Advisor of the IP Crime Policy Group for the UK Intellectual Property Office, before becoming its Head of Trade and Development. Here he led the UK delegation within the World Trade Organisation and the World Intellectual Property Organisation. He was also the principle IP advisor to the EU on the World Health Organisation’s negotiations on Public Health, Innovation and IP. He went on to hold the position of Executive Director of Corporate Strategy & Legal Affairs at the International Federation of Pharmaceutical Manufacturers & Associations (IFPMA), based in Geneva. 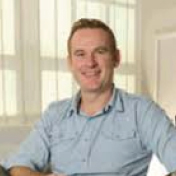 With extensive industry experience of global healthcare and legal frameworks, Andrew founded JS Consulting in 2014. 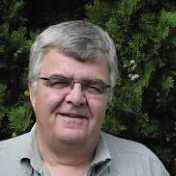 Prof Nick Vink joined the University of Stellenbosch as professor in agricultural economics in 1996 after 11 years at the Development Bank of Southern Africa. He is an agricultural economist specialising in agricultural and agribusiness development policy, land reform and empowerment, agricultural marketing, tax and international trade issues. Prof Vink has been involved in a range of official government Commissions and Committees of investigation, inter alia in the deregulation of agricultural marketing and the provision of rural financial services. He has consulted widely to national departments (Water Affairs and Forestry, Agriculture, Land Affairs, Labour, Trade and Industry, Cooperative Governance and the Treasury); provincial departments and internationally (among others for the World Bank, IFPRI, FAO, USAID, DFID, etc.). He was the President of the African Association of Agricultural Economics and also editor of Development Southern Africa (1988-1996) and of Agrekon (2002 – 2010). 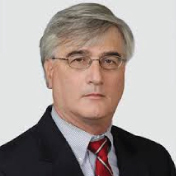 Scott Nance serves as consulting counsel to Wiley Rein LLP. He has practiced in the area of international trade regulation and investment law since 1984, focusing largely on compliance with economic sanctions, anti-money laundering, and export control laws. He represents domestic industries and foreign companies in anti-dumping and countervailing duty cases before federal agencies and federal courts. Ferdinand Meyer holds the position as director of the Bureau for Food and Agricultural Policy (BFAP) and associate professor in the Department of Agricultural Economics, Extension and Rural Development at the University of Pretoria. Meyer holds a PhD from the University of Missouri in the United States, which he completed in 2006. In 2004 he was a founding member of the BFAP. Some of his professional achievements include his membership of the boards of Protein Research Foundation, Agrico Machinery Pty Ltd; and Regional Network of Agricultural Policy Research Institutes, and his membership of the National Crop Estimates Committee. He is also a recipient of the Exceptional Young achievers award from the University of Pretoria; a rated researcher at the National Research Foundation; and was named Agriculturalist of the Year 2014 Northern Region by Agricultural Writers SA, while BFAP was awarded the Grain SA Inspiration Award 2014. Sixteen Masters and four Doctoral students have graduated under his supervision, and he has won seven awards from the Agricultural Economics Association of South Africa. He’s published 42 research reports, working papers and peer reviewed articles, and has been invited as a speaker to 103 national and international conferences. Prof. Meyer remains involved in primary agriculture and lives on the farm with his wife and three boys where he manages the finance, investments and marketing of agricultural produce. An economist with over two decades’ experience, Mike Schüssler holds a Masters in Economics and is a successful entrepreneur, owner and employer at Economists Dotcoza. 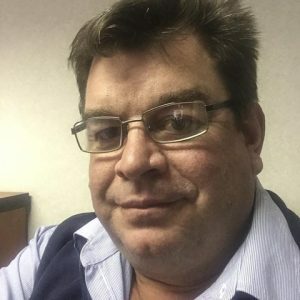 Awarded as South African Economist of the Year twice, he has also been named Small Business and Member of the Year by the Johannesburg Chamber of Business (Afrikaans Business Chamber). 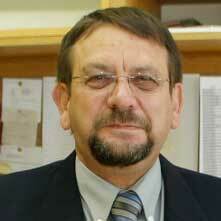 Well known for his innovative research into areas from employment to education indicators. Mike invented and maintains the Provincial Barometers and fixed investment indices which have been widely published and give insight into economic conditions on a regional basis – the first and only such indices in South Africa. He presents economics in an understandable and entertaining style. His presentations have impressed international chief executives and South African audiences ranging from farmers to financiers. He also advises and presents to pension funds, local governments and business chambers. A well-known economic commentator in the media and in academic articles, Mike is known the world over for his insights. Johan Willemse is an award-winning economist and writer, and head of Department of Agricultural Economics at the University of the Free State. Aside from his successful academic career, he is also a family entrepreneur who has successfully developed several businesses with his wife, Marlene, and their daughters. His PhD in Agricultural Economy from the University of Pretoria (1994) was awarded the Protein Research Trust’s award for best PhD. He was also awarded a Cochrane scholarship in 2003 from Illinois University in the USA, and has completed a course in scenario planning at Oxford Management School (2010).He also lectured on Scenario Planning at the UFS business School. He is consulting to a number of agribusinesses in South Africa on agricultural market trends and also holds a quarterly outlook workshop on agricultural markets. He has received numerous awards and accolades, including being named agricultural writer of the year and Absa Business Economist of the Year. He has served as the head economist of the SA Agricultural Union, member of the Maize Board and non-executive director of Absa, among other positions; and currently serves as nonexecutive director on several boards. Tracy Davids holds a PhD in Agricultural Economics at the University of Pretoria and her research focus includes commodity market modelling, market projections, policy analysis, price formation, spatial price relationships, competitiveness, and trade flows. She has been a researcher at the Bureau for Food and Agricultural Policy (BFAP) since 2012 and presently manages the commodity-market-analysis programme. Davids contributes to and coordinates the annual Outlook publications of BFAP and the Regional Network of Agricultural Policy Research Institutes (ReNAPRI). From 2014 to 2017, she collaborated with the Organization for Economic Cooperation and Development (OECD) and The Food and Agriculture Organization of the United Nations (FAO) on the publication on the global agricultural outlook and in 2016 she authored the special focus chapter on Sub Saharan Africa in the same publication. She has presented at various international conferences and has published numerous papers in peer reviewed journals which have won several awards. 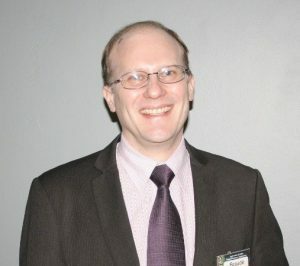 Kevin Lovell is a consultant scientific advisor to the International Egg Commission (IEC) and an advisor to the International Egg Foundation (IEF). He has served on a number of ad hoc groups for the World Organisation for Animal Health (OIE), has been part of a disaster planning team for the UN and is also a trade advisor and negotiator. 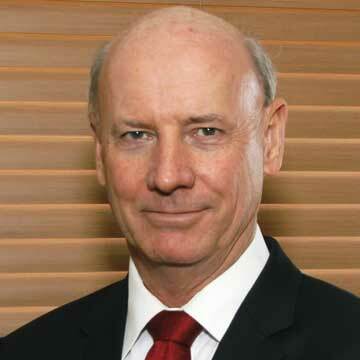 Lovell’s previous position was that of CEO of the South African Poultry Association (SAPA) for 11 years. Prior to joining SAPA he served in various executive positions for the Royal Bafokeng Nation. He has also been the managing director of the Southern African subsidiary of a multinational dairy equipment company and has also worked as a sales and technical manager for various other agricultural companies. He has over 35 years of agribusiness experience throughout the eastern seaboard of Africa, from Ethiopia to South Africa. Kevin has a BSc in agriculture from the University of Natal and a B.Inst. Agrar. (Hons) from the University of Pretoria. He has also done postgraduate research work and has acquired a range of business qualifications and skills over the years. 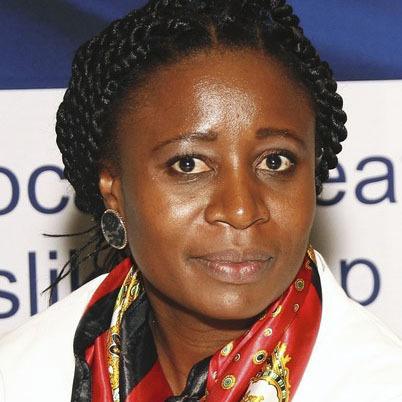 Dr Charlotte Nkuna has wide experience in the poultry industry, gained in a career spanning over two decades; and has held several influential positions since she graduated as a veterinary surgeon at the Medical University of Southern Africa in 1997. 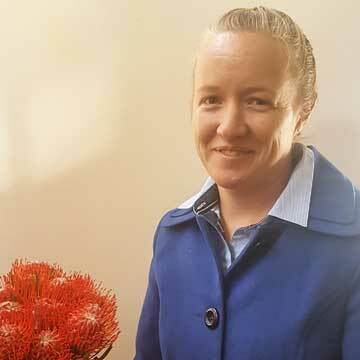 Before moving to her current position as General Manager of Veterinary Wildlife Services at Sanparks, she worked with various animal health organisation and veterinary services in South Africa and the United Kingdom; held positions at commercial poultry farms and at the South African Poultry Association, eventually becoming SAPA’s interim CEO and Senior Executive Eggs. Her career highlights include involvement in projects seeking to improve access to vaccines for marginalised farmers with the Global Alliance for Veterinary Medicines. Dr Nkuna has both a Bachelor of Veterinary Medicine and Surgery, and a Master in Business Administration. She holds several positions within the South African Veterinary Council, including that of President of the South African Veterinary Association, Vice Chairperson of the National Animal Health Forum and others. She has been twice nominated as one of South Africa’s Most Influential women in Business and Government by CEO Magazine. Wolfe Braude is a director, co-founder and senior policy consultant at Emet Consulting, specialising in targeted communications and research on industrial, trade, and agricultural policy, development assistance, global economic governance, and regional integration. Recent consultancies include work on the development of a South African chemicals sector strategy for the Department of Trade and Industry, communications management for the African Centre for the Constructive Resolution of Disputes (Accord), new business and stakeholder management at the SA Institute of International Affairs (SAIIA) and the SA chapter of research on Agribusiness Chambers of Commerce in Africa for GIZ and the NEPAD Planning and Coordinating Agency. Previous positions include International Affairs Manager at the South African Sugar Association (SASA), Senior Researcher – Labour Standards and Collective Bargaining, at Cosatu’s research affiliate, the National Labour and Economic Development Institute (Naledi); and programme manager for a dti policy support programme. Prior to this Wolfe was Associate Lecturer and Academic Development Programme Coordinator in Political Science at the then University of Durban-Westville. He has provided analysis for radio, TV and print media and contributed to policy journals and other publications. Wolfe is the author of a book entitled Regional Integration in Africa – Lessons from the East African Community, published by SAIIA. Christo Joubert is the manager of Agro-food chains at the Market and Economic Division of the National Agricultural Marketing council (NAMC), where he has been involved for almost a decade. He holds several degrees in agriculture, as well as an MBA, and a PhD in Agricultural Economy obtained at the University of the Free State in 2017, that focused on an analysis of the South African broiler industry. 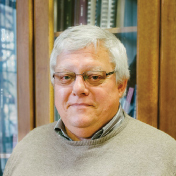 At NAMC Joubert manages research projects regarding the agro food chain and oversees the publication of several annual, quarterly and monthly reports including the Food Cost Review, the Food Price Monitor, the Input cost Monitor and the Food Basket price. His division conducts environmental scans and identifies opportunities regarding agricultural marketing that requires well-researched outcomes, and initiates such research. He also liaises with the the Department of Agriculture Fisheries and Forestry, Ministry of Agriculture, Forestry and Fisheries on matters relating to the marketing of agricultural products. Aside from serving on several committees, including the JSE Agricultural Product Division advisory committee and the Stats SA Consumer Price Index advisory committee, Joubert is registered as a professional valuer at the SA Council of Property Valuers, and has lectured on the subject at the University of Pretoria. Previous positions include that of senior manager for the Markets and Economic Research Centre (MERC) at the NAMC division. Earlier in his career he was an agricultural advisor. He has published several scientific papers locally and internationally related to the poultry, sugar, grain, soybean and other agricultural industries.